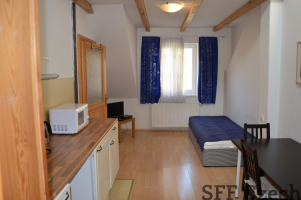 The long-term or medium rent of a nice fully furnished apartment in Praha 8 near Kobyliskeho Square and the Metro “C” Kobylisy. Flat 1 + 1 (47 m2) consists of two rooms, loft with toilet, hallway, bathroom with a shower and separate toilet. The apartment has a separate bedroom with a double bed, wardrobe, chest of drawers, shelves and hangers. In the front room is a nice kitchen with refrigerator, microwave, two-burner stove, washing machine, dining table, chairs, sofa, TV, curtains etc. 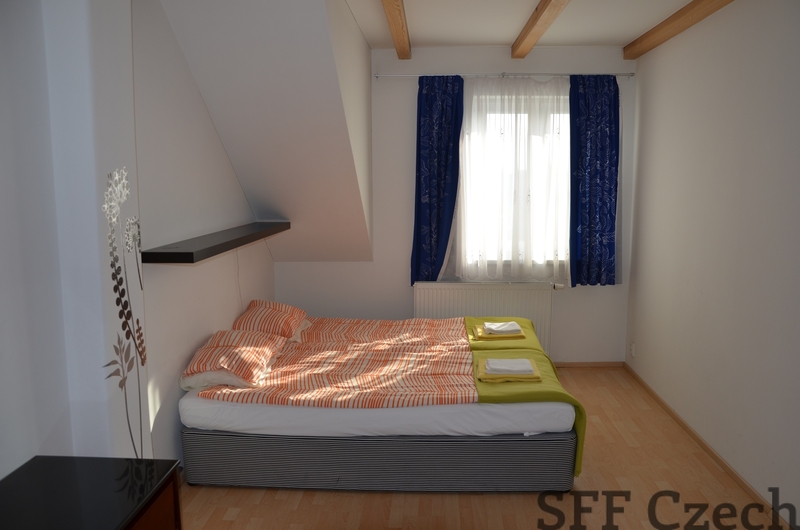 On loft is extra single bed (can be seen on picture in kitchen area). The apartment is located on the 2nd floor with a nice view. The house has a garden which tenants can use. The whole house is in very good condition, after reconstruction. There is no lift. Very good connection to the city center. The tram stop „Okrouhlicka“ 2 minutes from house. The nearest metro station Kobylisy (yellow line “B”) 3 minutes away. Center by public transport maximum in 10 minutes. Around all amenities, grocery store, bakery, pharmacy, bank, butcher shop, sweet -shop, cafe, farmers market at front of metro station, good accessibility on the cycle path and more. 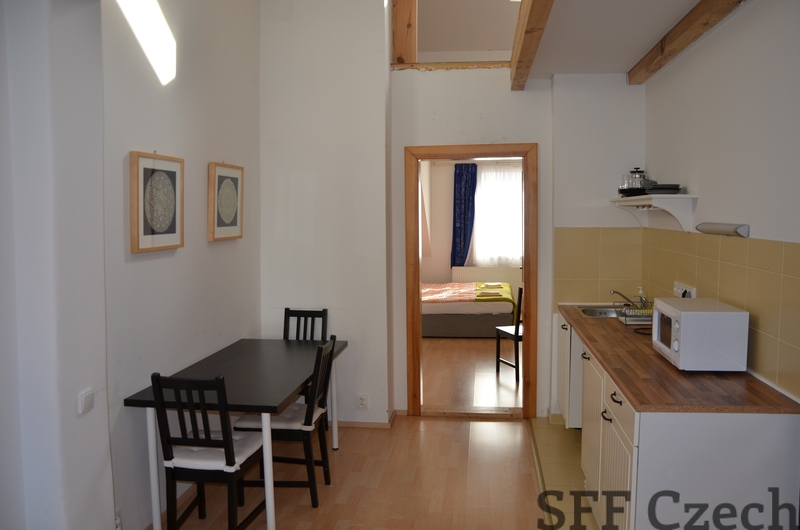 Monthly rent: 13000 CZK + 3000 CZK utilities including internet. 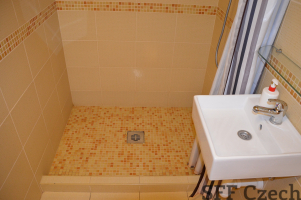 The apartment is suitable for students or workers. Recommended, living in quiet area.